How many manual cars are there in Europe? In Europe, over 80% of cars sold have a manual gearbox. Conversely, more than 96% of cars driven in America are automatic. Previously, automatic cars had a reputation for being unreliable and fuel-guzzling. However, automatic gearboxes have become more reliable and the fuel-consumption has improved. This has led to an increase in the sales of automatic cars in the UK, but we still mostly drive manuals. So, here are our top tips on things you shouldn’t do in a manual car. This is actually listed as one of the things you shouldn’t do in a manual car when you read the handbook of many cars. When you rest your hand on the gear lever, you are causing the selector fork to grind against the rotating collar. This will lead to premature wear on the fork and you’ll end up having a hard time putting the car into gear or changing gear. Car handbooks advise you don't rest your hand on the gear lever. 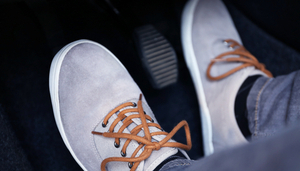 Drivers quite often will rest their foot on the clutch pedal when they know they need to change gear again soon. What this does is actually engages the clutch partially, which leads to premature wear and, eventually, it will need replacing. Trust us when we say that it is an expensive part! Furthermore, by having the clutch partially engaged you’re using more fuel. By resting on the clutch, you’re using more fuel. The consequences of doing this is very similar to when you rest your foot on the clutch pedal while driving. It causes excess wear on the clutch components and, again, the clutch is a very expensive part to replace. 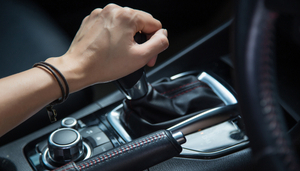 Instead of feathering the throttle and keeping the clutch at the biting point to keep your car stationary, use the handbrake to keep your car still. Ask about our FREE car loan service! As you drive around at a low RPM, you save fuel but small deposits are left in the fuel system. This can lead to poor fuel-efficiency as your car will then struggle to run. By giving your car a good rev, you’ll clear out the fuel system in order to help it run smoother. It’s comparable to clearing your throat when feeling a little flemmed-up. 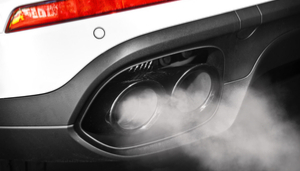 Sometimes cars need to clear their throat, too! 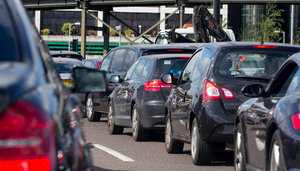 If you’re waiting at traffic lights or stuck in a jam, the best thing to do is either turn off your engine (if you’re in for a long wait) or put your car into neutral. By leaving your car in gear, you’re not only wearing out your leg muscles, you are also putting unnecessary strain on the clutch. Extend the lifespan of your clutch by selecting neutral when stationary. How long will a manual car last? If you avoid the things you shouldn’t do in a manual car, as listed above, you can expect a modern manual car to last approximately 11 years, or 200,000 miles. Of course, there are the stories of drivers, particularly Volvo owners, who have made their car last several times this amount, but the generic number is around 200,000 miles for a modern petrol or diesel car. Always remember to give us a call if you require any maintenance to your vehicle, whether it be automatic or manual, so we can help you get to that 200,000 miles milestone. For additional advice on how to make your car last that long, please take a look at this article from Consumer Reports by CLICKING HERE. Need a reliable service or MOT? Call today to book your MOT or service! We issue MOT certificates on the spot and won’t charge for a second test if work is needed to be done in order to pass.